Many aging adults think of independent living as continuing to live in their current homes for as long as they are able. Because they may not require any assistance with daily tasks, and are still active and mobile, they may not realize all the benefits a senior living community could offer. However, there are key reasons to consider moving to an independent living community, where you’ll not only enjoy maintenance-free living, but also will have the peace of mind that should your healthcare needs change, you’ll have priority access to services like assisted living, skilled nursing or rehabilitation therapy. If you are thinking about transitioning into independent living at Thorne Crest, our Decision Guide is designed to help answer questions you may have when considering the move. It is also intended to help you communicate openly with your family and friends. The questions and information below provide a useful way to affirm your decision and to begin discussions with others about your future plans. This is a very common thought for people as they consider their retirement options. Living in a senior community actually promotes one’s independence by providing services that allow you to spend your time and energy on the things you enjoy. Imagine having your own chef, housekeeper and personal trainer, plus all the other fine amenities offered at Thorne Crest. Community amenities and services take the pressure off and give you the time to pursue new hobbies, pick up an old one, and make time for friends and family. Residents often say they feel more independent after moving to the community than they did in their own homes, because they are free to enjoy life. Moving to an independent living community means living just like you are now; it’s merely a change of address. The lifestyle is yours to create as you choose. Expand your social network and social opportunities if you like. Pursue new friendships and interests. Most residents find people with similar interests, or share them with others and even start to take on new hobbies. Card games, book discussion groups, creative crafts and gardening are just some of the pastimes available. Friends and family will love visiting you in your new home and are always treated like an extension of our family. I heard we give all our money towards an entrance fee to get into Thorne Crest. There is great value to a community that has an entrance fee. Once you qualify both medically and financially to live in an independent living apartment, you are taken care of for life. With all the apartments and levels of care on one campus, transitioning to another level of care is smooth and very supportive. The entrance fee may be 90% refundable or non-refundable depending on the financial program you select, however, all options offer an abundance of monetary savings as one’s needs change and more help is required. It’s security for your future and peace of mind for yourself and your family. At first this decision appears to be daunting, but downsizing is a process, and you can let the experts help you through everything and break it down for you one item at a time. 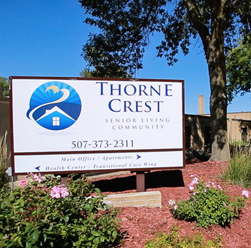 Thorne Crest has a number of resources and services to help ease the transition. Remember many of the items in your home are already here waiting for you. For example, you don’t need your treadmill or hundreds of books with access to Thorne Crest’s fitness center and library. It’s easy to dismiss the idea of community living when you feel that you are in tip-top shape, but making the transition while you are healthy and mobile has great benefits! Thinking, “I’ll wait until I really need it,” can come with some risk. If you wait for a significant health-related event to drive the decision, it may limit your ability to take full advantage of all that Thorne Crest has to offer. So why wait and have to make these decisions under less than ideal conditions? Yikes! Who is going to feel like moving at that point? By making the move now, you will be able to choose where and how you want to enjoy your retirement years. 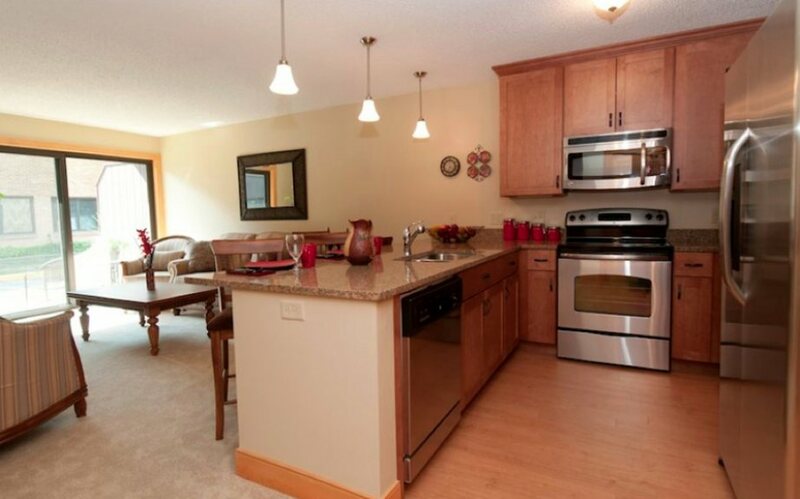 You will be able to take advantage of all the wonderful amenities and friendly people. Statistics prove that community residents live healthier and longer lives because of the stimulating options and camaraderie of neighbors.